Today’s episode I am so excited to welcome back Season 1 guest, musician Paul Cardall and introduce you to the phenomenally talented and impressively self-aware Ellee Duke. 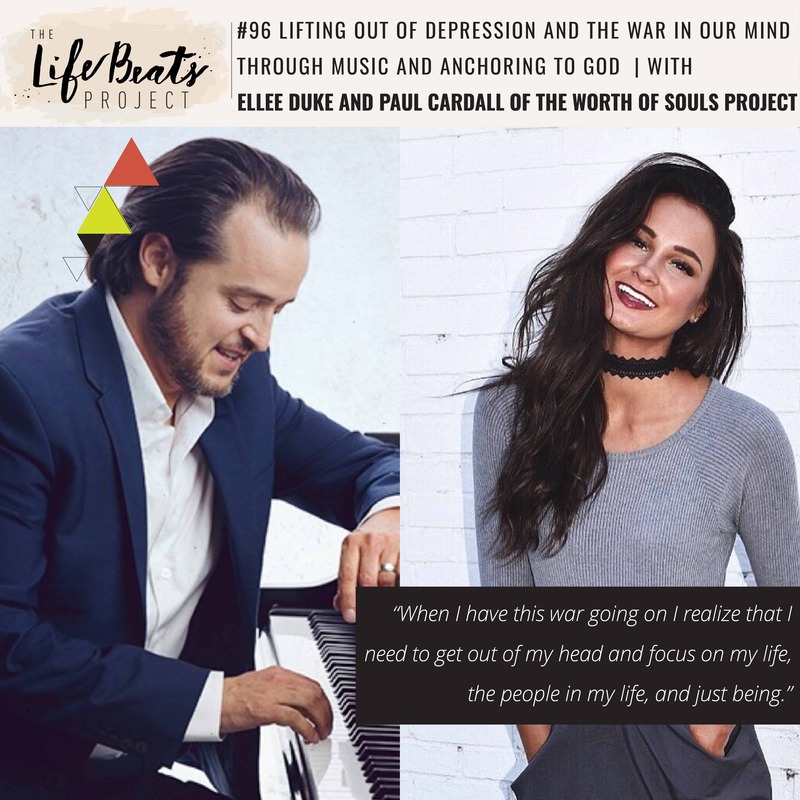 Together along with many other artists they have produced an altruistic album called Worth of Souls with songs written for the express purpose of fighting depression, preventing suicide, and anchoring people to hope in a loving and merciful God, no matter who that God is. Ellee shares her own story that inspired her to write the song “Life Me Out” that I spur on her to sing on the show! She has such a glorious voice and message. Ellee tells of following her gut and turning down the chance at American Idol to pursue her own path in Nashville as an artist only to experience one of her darkest experiences in her life upon moving there and finding herself alone. She had lost the friendship of the one person who knew everything about her, sharing a bond that she thought was unbreakable. She found herself depressed, locked in her room, and not eating. She had wanted her dream so badly but never realized the cost that came with getting what she wanted. It was these feelings that she drew upon to write “Lift Me Out” in which she turned to God to help lift her out of this “war in her mind” that she couldn’t find a way out of, that inner battle of the negative and positive thoughts that had paralyzed her, to find a confidence that would propel her forward in her career to find her footsteps she couldn’t find or see herself. She shares her foundation for her impressive self-identity as her confidence in being a child of God and her supportive family who taught her that she could do this! Listen and be inspired to identify where your self-awareness comes from, to connect to your higher power and reach out for help during moments you just can’t see how to get out of, and to get out of the negative thoughts to focus on the life and people you have right in front of you.